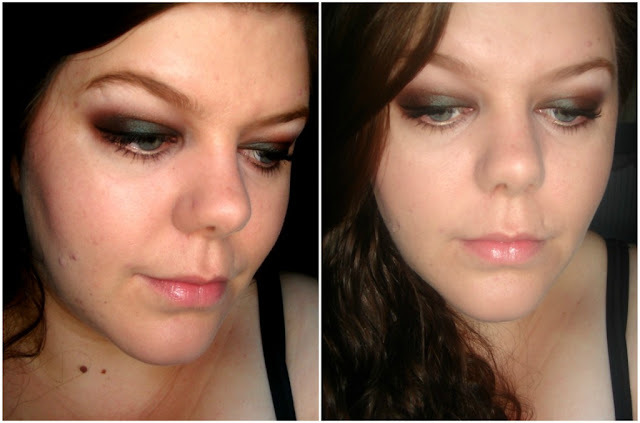 Sophsterlicious • UK Blog: The MAC 'Club' FOTD. Following on from my post on Mac's Club Eyeshadow the other day, I wanted to show a quickie fotd to show how lovely it looks, and how it transforms and looks like you have made an effort with more than one colour, when you wear it over a black base. I used the Barry M Supersoft Eye Crayon in black as my base, blended over the lid. Then I just put Club eyeshadow over the top, and blended it up into the crease (past the base) to give a two tone effect. Barry M Base ---- With Club Eyeshadow. Then I added some liner, mascara, lipstick, foundation and blush, and here is a face of the day. Do you own Club eyeshadow? ... Do you want to own it? Don't own it but damn I want it! Don't own it but damn I want it !!! I own and love Club eye shadow. I really like your look! The camera caught the colours perfectly. Looks gorgeous on you :) I must get it! I've had it for a while and wasn't so sure how to use it to get the full effect. Then I tried it as you said in your previous post about it over the base and it was great! Thank you very much for introducing me to a minimal effort maximum payoff look.